Welcome to our page! This is where we will be housing anything to do with the Haines High School Publications club. Check in often to see new editions of the Bear Necessities, updates on the 2018-19 yearbook edition, and any events that the Publication staff are throwing! New Edition hot off the press! Want to know what our High school did for the past month of March? Interested in hearing how Mini-Week and Regionals went for all students? Want an inside look into one of our most loved classes? Or maybe you just want to look for upcoming school events. If that is the case, do we have a treat for you! Check out the new edition of the school newspaper under The Bear Necessities tab above and read about that and much more! Leave a comment to tell us what you think. We love feedback from our readers in the community. Enjoy! Interested in a nice Chicken Curry dinner? Then check out the poster below. For pre - orders you can make your order by clicking the link listed below. Come support our local National Honor Society chapter. Embrace your inner poet and write a love poem for your significant other! 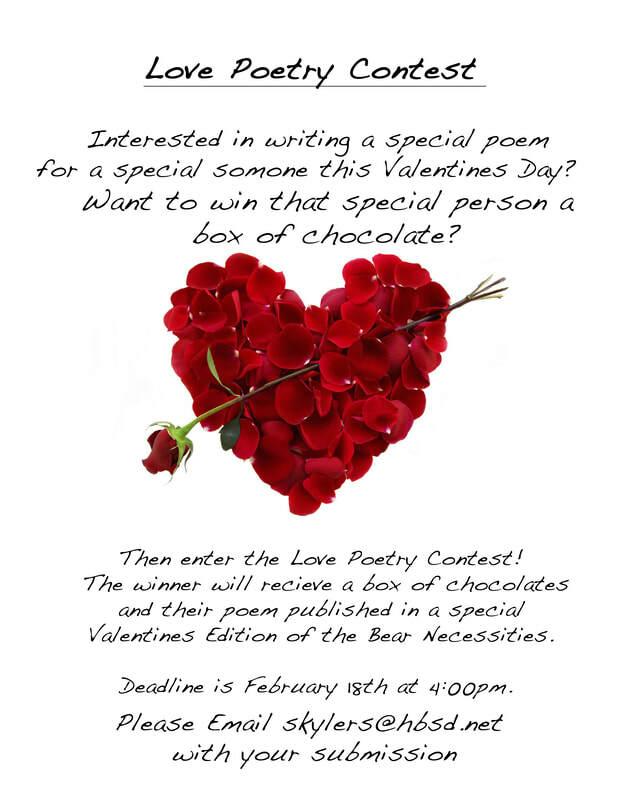 Selected winner will win a box of chocolates and be published in the Bear Necessities. More details can be found below. 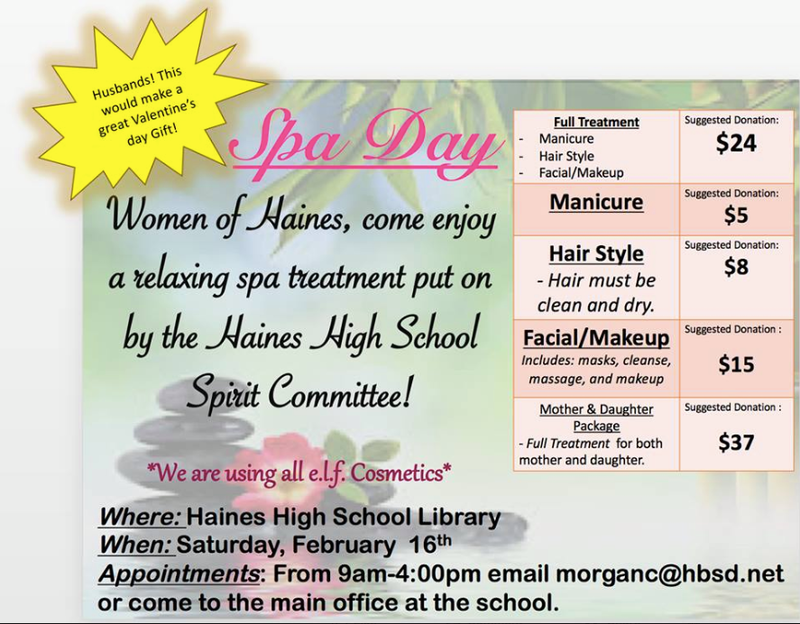 The Spirit Committee is doing a spa day for the women of Haines. Details are below. If interested contact Morgan Cloke at morganc@hbsd.net. The Publications staff would like to wish everyone a happy Thanksgiving. We all you hope you have a fun and relaxing holiday! 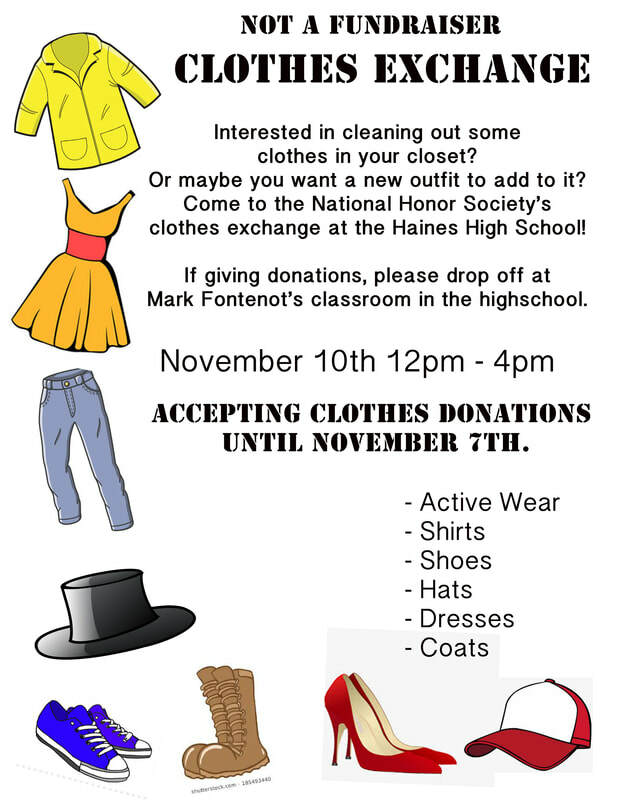 The National Honor Society is doing a clothes exchange! Take a look at the flyer below for more information. Check it out! A short story competition. The top 3 stories will be published in the Newspaper. For submissions please email Skyler Smith at skylers@hbsd.net. Below are the full versions of the horrors stories featured in the Bear Necessities. Enjoy some frightening stories! The First edition of the 2018-19 Bear Necessities is hot off the press! Click on the Bear Necessities tab on the top of the page to read it. Be sure to let us know what you think! We would love to hear feedback. Interested in designing the cover for the 2018-19 yearbook? Then this is the place for you. Check out the flyer below! 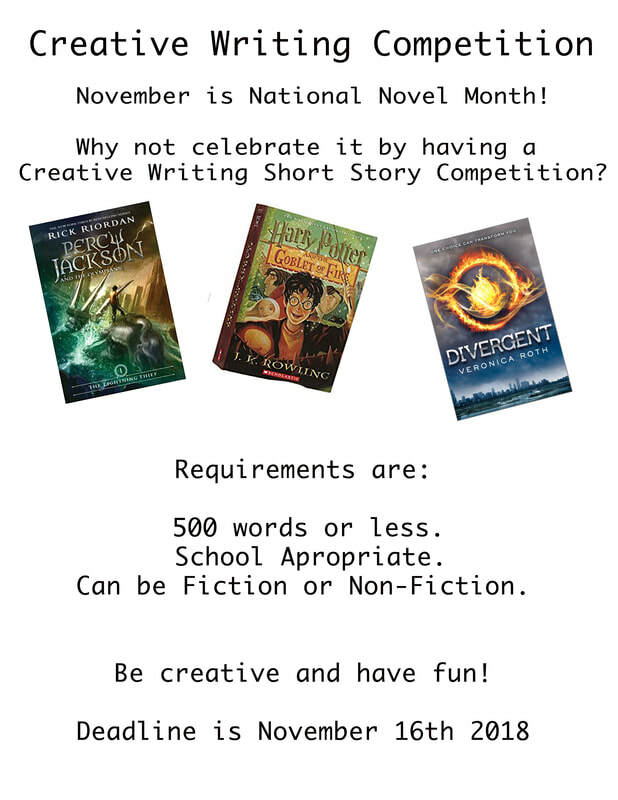 Deadline for submissions is October 31st. Senior Pages Are Now for Sale! Want to send off your graduating senior in style? Then check out the flyer below. Deadline is March 5th 2019. "For what it's worth, it was worth all the while."